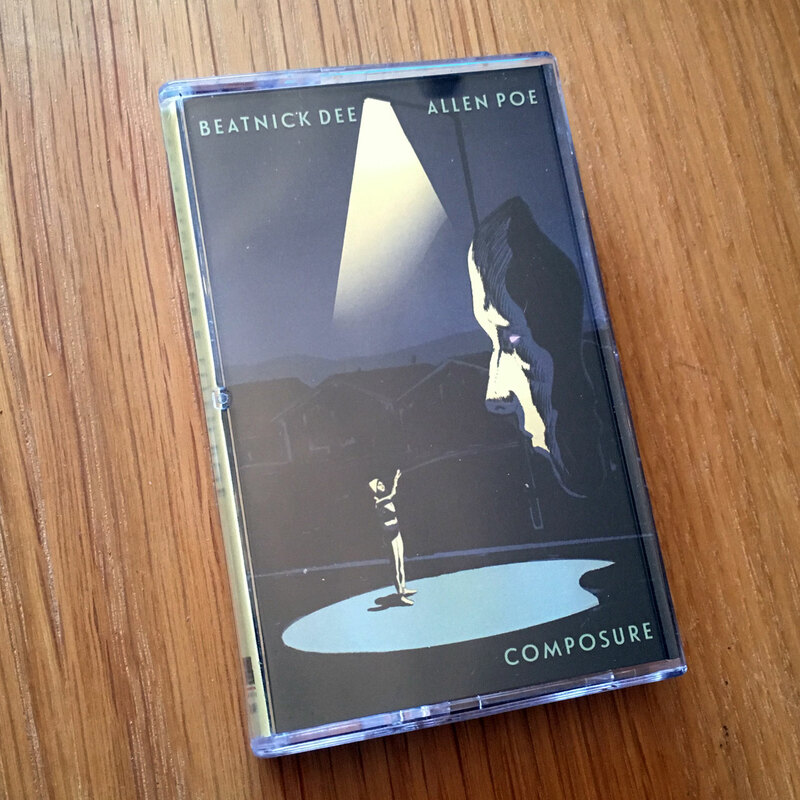 Fresh off the high of having worked with Faith Evans and Lil Cease on a track featuring an unreleased Biggie verse, “Composure” is the first EP produced by L.A.'s Beatnick Dee since his debut album “Creative Medicine”. 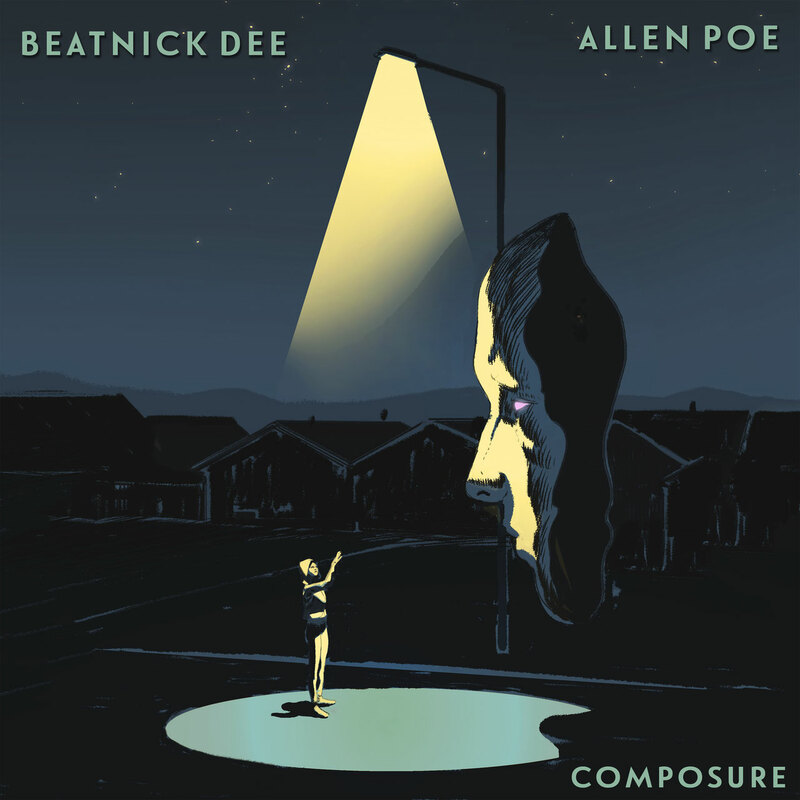 Written out of a spirit of restlessness and a period of personal transitions amid America's chaotic political climate, “Composure” was created during a time of major life transitions for Kentucky rapper Allen Poe. 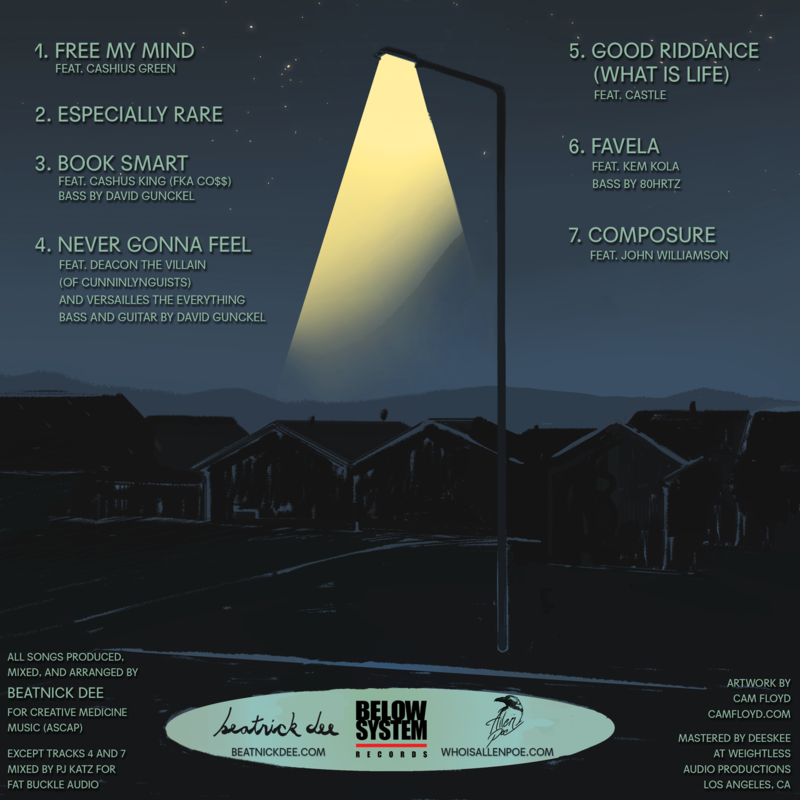 Having partnered with Netherlands based label Below Systems Records, their new EP “Composure” sits at the intersection of those two paths, bearing out the soul of a rapper over the nuanced technical and creative techniques of a producer, both looking to take the next step amid growing accomplishments. 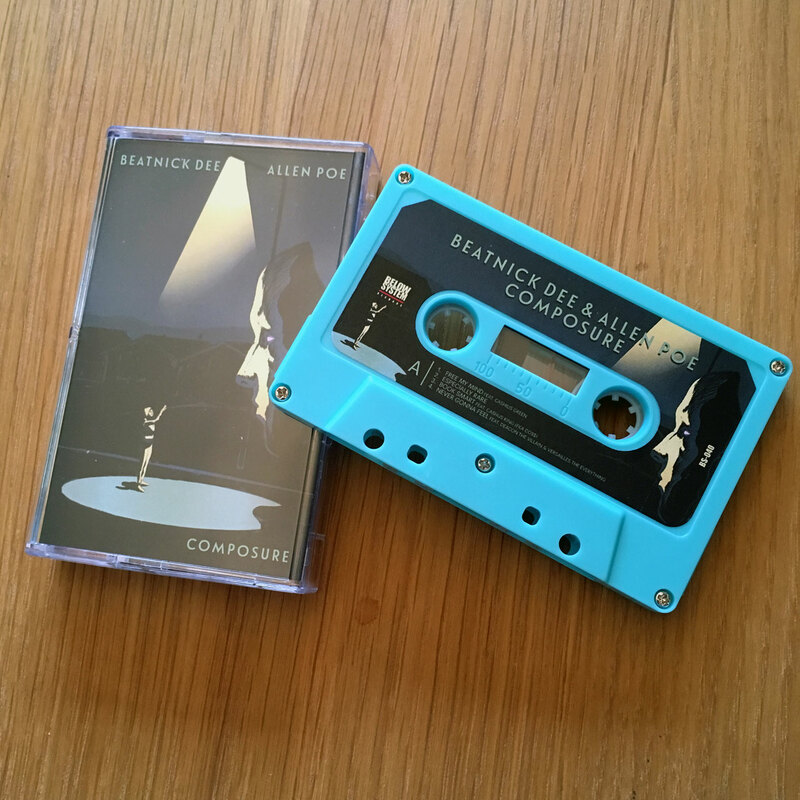 Handling consistent success and speaking on failed social realities, the abstract notion of composure while figurative as an EP concept, often stems from literal obstacles for the artists. Separated by 1,500 miles, perhaps Allen and Nick shouldn't have meshed so well, but with Dee's experience as a crate digger and sample dealer combined with his technical precision to craft a range of sounds fitting for Poe's honest, every-man approach to songwriting, the EP carries timely messages and storytelling nuanced by America's stormy social climate that packs modern substance and behind classic styles. Features from Cashus King (FKA Co$$), Deacon The Villain of CunninLynguists, Versailles The Everything, Cashius Green and Kem Kola were thoughtfully tailored to fit outside artists to Poe's message and Dee's musical composition.